When it comes to travelling the world and trying the best market cuisine, Melissa Hie from @GirlEatWorld has you covered. 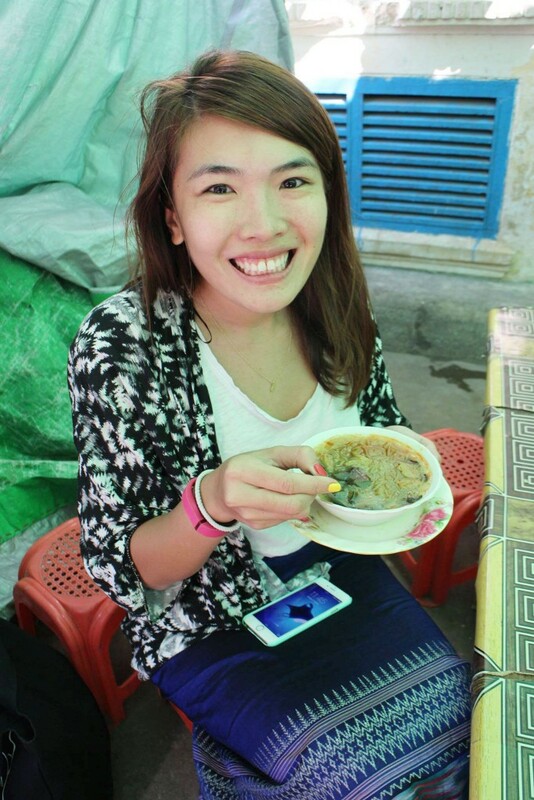 We've asked this foodie to let us in on her favourite road-side dishes from across the globe. Who doesn’t love street food? It's delicious, offers you a peek into the daily life of locals and best of all – it doesn't take very long to consume. Some food can even be eaten while walking around to save time, which is often the case when you are travelling! In the past five years, I have been lucky enough to be able to try different street food from all over the world. Here's a round-up of my top 10, in that order. And yes, it was a very difficult list to make. Hotteok is a type of Korean pancake filled with a mix of brown sugar, honey, peanuts and cinnamon. It’s probably the most unassuming food in this entire list – it just looks like a plain round fried dough. However, it is such a delightful surprise once you have it fresh off the fryer and piping hot! The filling will melt in your mouth (you have to take caution if it’s hot, otherwise it could burn your tongue) and perfect to have on a cold day. Where to get it: The most famous Hotteok is in Insadong, Seoul. Just look for a snaking queue! A beloved street snack that has definitely stood the test of time in Hong Kong’s ever-changing city is gai Daan zai, also called 'eggette' or 'Egg waffle' due to its shape that resembles a bunch of eggs, not to mention the fact that egg is one of its core ingredients. Also best eaten fresh off the griddle and as a comfort snack on a cold day. Where to get it: Anywhere in Hong Kong, usually in the central city area with office workers around. I don’t know about you, but I can’t say no to anything served with chips. So when I was in the UK and Australia, plenty of meals consisting of different types of fish and chips were had. In Australia, you can choose to have it crumbed or beer-battered. I personally prefer crumbed since I love the gritty texture it gives to the fish! Where to get it: My personal favourite was a takeaway from Circular Quay in Sydney. I ate it at the nearby Royal Botanic Garden for a beautiful view of the Opera House and Harbour Bridge. While Burmese cuisine is a delight, I have to say I wasn’t quite as impressed with their selection of street food… at first anyway. This quickly changed when I sampled my first bowl of Mohinga, a vermicelli noodle in a fish-based soup dish. Best eaten while sitting (or more likely: squatting) on a tiny stool for 500 kyat (around 25p). Where to get it: I had a bowl at one of the 777 steps of Tuang Kalat Monastery in Mount Popa, which really adds to the experience. Currywurst is not just delicious, but also tells you a bit of history about its place of origin. This dish was born out of the war, where its main ingredients – curry powder and ketchup became available in Germany through presence of British Soldiers during World War II. Combine these ingredients with German sausages, and you have what we now call currywurst. I think I had at least one a day when I was in Germany. Where to get it: Anywhere in Germany! The concept of onigiri is so simple and so functional that it is totally endearing to me. Onigiri is white rice shaped into triangles, filled with various stuffings and wrapped in seaweed paper. This makes the rice easier to consume while still being delicious and wholesome! As such, you’ll often find this in lunchboxes and places where you can grab quick food on the go. The filling of onigiri varies from seafood like tuna, salmon and fish roe to vegetable options, such as pickled fruits. Where to get it: Everywhere in Japan. Even convenience stores like 7/11 have them, but it's best to get them earlier in the day since they do sell out and don’t seem to be restocked throughout the day. If you come at night you might be faced with slim pickings. I think the reason why I love living in Singapore so much is our hawker food. I know I'm cheating since hawker food is technically a type of cuisine, but I just can’t bear to only pick one! In Singapore, there are tons of open-air eateries (all within 5-10 mins walk of each other) that serve a similar type of food. My personal favorites are ban mian (noodle soup dish), mee sua (dry noodle dish with vinegar sauce), char kway teow (flat rice noodle pan fried in dark soy sauce) and pork meat with rice. Best of all? These dishes don’t normally run over £2! So cheap and delicious. Where to get it: Hawker stalls are available island-wide, but there are a few that stand out, such as Old Airport Road, Newton and Tiong Bahru market. Is it possible to be in love at first bite? Because that’s what happened to me when I first had samosa chaat. Made from leftover samosas and topped with a variety of spices and ingredients, it’s a delightful mix of texture and flavour. If you like the strong Indian spices you'll especially enjoy this dish. Where to get it: Originating from north India, you can find this dish in most parts of India. Martabak is definitely one of my all-time favorite snacks. While similar dishes, ‘martabak’ or ‘murtabak’, exist in other countries, they are usually savoury with thin dough. This sweet kind with thick dough can only be found in Indonesia, usually slathered with butter (that’s why it’s so delicious) and various options for the filling. I personally love the cheese and condensed milk one as pictured above. It may sound weird to the uninitiated, but have a bite and you’ll fall in love. Promise. Where to get: Pecenongan area in Jakarta has loads of martabak places to choose from. Hands down my favorite noodle dish ever. It’s impossible to not like Pho. Period. Pronouced like “fuh”, Pho is a Vietnamese noodle soup that’s made from hours of simmering beef bones, oxtail and an array of spices. The result is a flavourful yet clear broth, which makes it a healthier option than other noodle soup. It is then served with flat white rice noodles and a choice of beef brisket, beef balls or types of organs, and topped with fresh lime, bean sprouts and basil. I usually just get mine with medium-rare briskets and have it at the side of the road somewhere in Vietnam, for $2 per bowl. Where to get: Anywhere in Vietnam. I got mine from nearby my hostel in the backpacker district of Saigon while watching the city come to life. Get a taste for the world's best street food by experiencing one of our gourmet tailor-made Journeys.